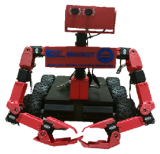 MiniBot: MiniBot is a custom designed and 3D printed robot we refer to as Minibot and was created as a part of a senior design project at George Mason University. It is comprised of a series of Dynamixel AX-12 and AX-18 servos, daisy-chained together, and two USB cameras connected separately. All of the pieces are connected using 3D printed, plastic brackets, available on Thingiverse, and the robot is attached to a 1/2" thick, 7.5"x12" board. The board is attached to the mobile platform, an MMP8, by velcro for easy removal. From the videos, it can be see that the blue robot is the controller for the red robot. 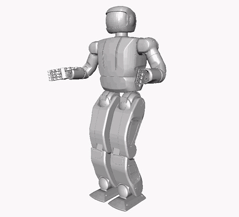 OpenHubo: OpenHubo is a collection of models of KAIST / Rainbow humanoid robots. As of release 0.6.x, the collection includes: Hubo2 (Torso-base), Hubo2 (Right-foot-base), Hubo+ (Torso-base), Hubo+ (Right-foot-base), Hubo+ (No-Shell model). These models have inertia and mass properties to accurate to within about 1 kg of the physical robot. Masses such as cables are not well represented in CAD, while mechanical components are accurately sized and massed. The result should be accurate enough for simulation though Open Dynamics Engine (ODE) and similar engines. OpenDRC-Hubo: OpenDRC-Hubo is a dynamic model of the of the KAIST / Rainbow humanoid robot DRC-Hubo. 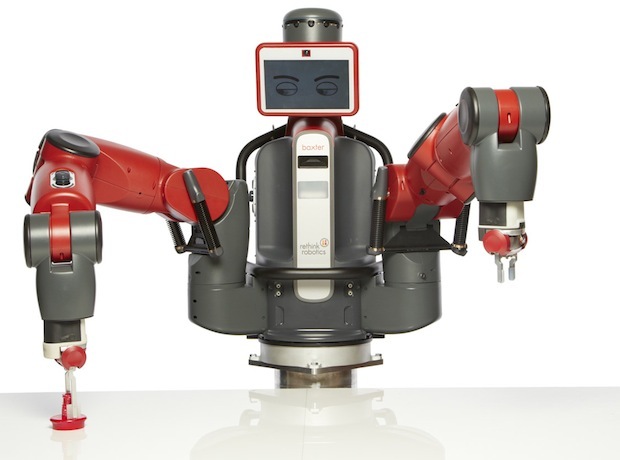 The specifications for this robot were determined through testing by Team DRC-Hubo of the DARPA Robotics Challenge. This model has inertia and mass properties to accurate to within about 1 kg of the physical robot. Masses such as cables are not well represented in CAD, while mechanical components are accurately sized and massed. The result should be accurate enough for simulation though Open Dynamics Engine (ODE) and similar engines.